A pregnant mother has a lot of choices to make. Hospital, birthing center, or home birth? natural birth or epidural? Breastfeed or formula? Co-sleeper, sidecar, or separate crib? But a pregnant woman with depression has one more huge decision to make for her health and the health of the fetus. More and more women of childbearing age in the United States are being diagnosed with and treated for depression. And pregnancy itself can come with an increased risk for serious mood disorders. At this point little is known about the effects of antidepressants on an unborn fetus. But many healthcare providers agree - the consequences of going off medication can be disastrous. 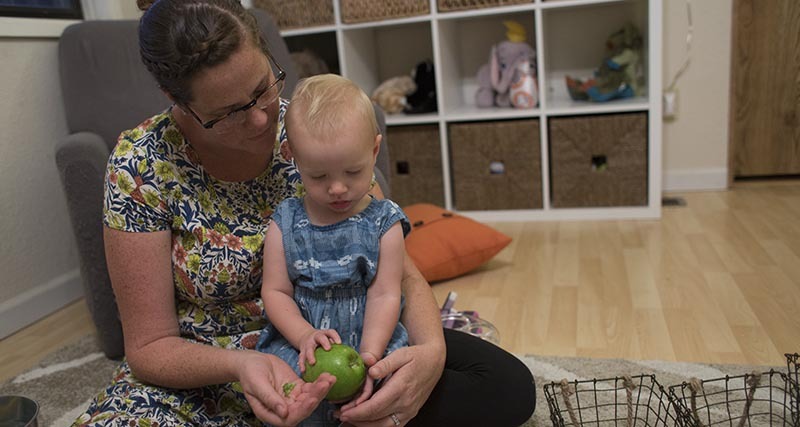 Corrie Ordway, a 33-year-old preschool teacher in Sunnyvale California, had to navigate these concerns during her own pregnancy. Her daughter Ellie is 15 months old now. She’s a blond fuzzy-haired little girl with piercing blue eyes and a coy smile. It’s clear that Ordway loves being a mom. But getting here wasn’t easy. That's because when Ordway was just 12 years old, she was diagnosed with depression. She says she felt sad all the time. She couldn’t eat. She couldn’t sleep--even though she was always tired. She would shiver and shake. No one knew what was going on. So her doctor prescribed Prozac, a selective serotonin re-uptake inhibitor (or SSRI). It wasa completely new type of antidepressant medication back then. And for Ordway it worked. She took it through most of her teens and twenties. When she and her husband, Scott, found out they were having a baby, she was elated, but also worried about how the antidepressant could affect her unborn child. Now, some studies have shown a slightly higher risk for heart and lung problems. 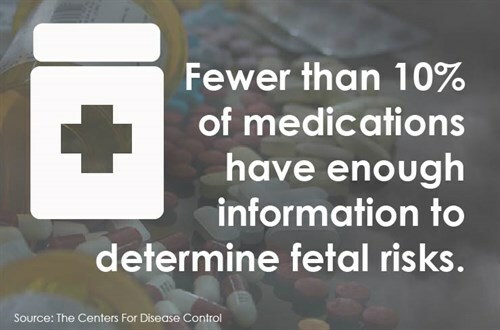 Prenatal exposure to paroxetine (Paxil) has been linked to slightly higher risk for fetal heart defects. And other studies show citalopram (Celexa), fluoxetine (Prozac) and sertraline (Zoloft) linked to higher risk for persistent pulmonary hypertension in newborns. Both of these health outcomes are rare and the studies are not conclusive. Because, as Finley points out, the methodologies are unavoidably flawed. But SSRI’s have been around for a few decades now, so Finley says researchers have plenty of retrospective data on women who’ve taken them while pregnant. And, while we don’t know yet how safe all antidepressants are for developing babies, there’s a working consensus among doctors now that most SSRI’s are relatively safe to take during pregnancy. Especially if you compare them to the alternative -- untreated depression. Still if you’re pregnant and trying to figure out what’s best for you - and your unborn child - it can be confusing and scary. Which is why depression often goes diagnosed or untreated during pregnancy. “I would have really liked to have had someone to sit down and talk to within my obgyn practice,” saysneuropsychiatristLouann Brizendine, author of The Female Brain. Brizendine founded the Women’s Mood and Hormone clinic at UCSF in the mid ‘90s, because of her own experience with pregnancy-related depression and the lack of resources to help her. Back then, she says, no one seemed to know what to do with a woman who was depressed in pregnancy. “So I started to make the field myself!” she says with a laugh. Brizendine says we need better and more consistent screening for mental illness in pregnant women. But when she does have a patient with depression, she doesn’t always turn to drugs. If the depression is mild to moderate, she may suggest staying with treatments. And that’s what Corrie Ordway chose to do. Luckily, she had good doctors at the time, who spent time counseling her through this decision. They helped her taper off Prozac and onto Zoloft, which they thought was her safest option at the time. Ordway says her pregnancy and birth went well. She believes she might not have been able to cope without the antidepressant and she’s grateful now to have a healthy, happy child. Of course not all women’s decisions will be the same. And certainly not all depressions require the same treatment. But health professionals agree and their message is clear—if you’re depressed in pregnancy, whatever you do, reach out for help. Don’t stay in the shadows.